Need to catch a running toilet? A leaking toilet wastes water and money, and it’s one of the most common ways a house loses water. 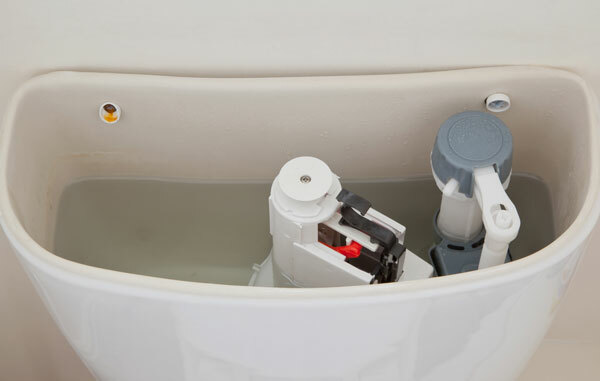 Fixing a toilet that is running is often simple and inexpensive. The Environmental Protection Agency estimates you can reduce your water bill by 10 percent by fixing leaks around the house. If you’re replacing an old toilet, consider installing a low-flow model. You’ll save even more on your water bill if you do. If want to fix a running toilet, you’ll need to find what’s causing the leak. Here’s a step-by-step guide. Before you get started on repairs, get familiar with the parts in the toilet tank. Remove the cover, flush and watch the toilet go through its cycle. You’ll see the flapper lift, allowing water to empty into the bowl. The flapper will drop back into place after the tank empties. As the tank refills, it lifts the float. When the float rises all the way, the water turns off. If anything isn’t working in this process, the toilet may run. Next, you’ll pinpoint the problem by checking the various components in the tank. A chain that’s too short won’t allow the flapper to form a seal, and the water will leak into the bowl. Move the hook on the chain to adjust the length. If you make the chain too long, the toilet will only flush partially. Water stops running when the float reaches a certain height. If the float is too high, the valve won’t turn off and the toilet keeps running. The water should stop running when it’s nearly to the top of the overflow tank. If the water continues to fill the tank, it will drain into the overflow pipe and into the bowl. Make a series of small adjustments until the float is at the right height. If you adjust the float too low, the toilet won’t flush completely. Slide the clip or adjust the screw on the float rod. Some toilets have a float ball. Turn the screw where the float rod attaches to the valve. You can also bend the rod slightly. Keep making adjustments until the toilet flushes properly. The flapper needs to seal to prevent water from leaking into the bowl. A worn out flapper or one that has buildup from hard water, can’t do its job. Check the flapper by flushing the toilet and unhooking the flapper while the tank is empty. If the flapper looks damaged, replace it. Take the old flapper to the store so you can buy a matching one. A fill tube should be positioned just above the overflow pipe. Sometimes this tube falls off or gets out of alignment. When the fill tube is out of whack, the toilet bowl won’t refill. To fix this, reattach the fill tube or ensure it is draining into the overflow pipe. If you can’t find a toilet leak or repair it, contact us at (360) 834-5311. The experts at Simpson Plumbing would be happy to help you out.